real skills for real-world dangers. Kanjizai's youth programs offer students the chance to learn two of the most effective and exciting martial arts in the world- Jiu-Jitsu and Ninjutsu. Jiu-Jitsu teaches students how to diffuse a bully's violence with clinching and grappling techniques that offer the perfect alternative to trading blows. Ninjutsu teaches students unique strikes, escape techniques, rolls, breakfalls, and other functional, practical skills that ensure kids stay safe in any number of dangerous scenarios. If confronted with a school bully, your child will be trained to control and negotiate with bullies using the minimum violence possible. When being grabbed by much larger bullies or strange adults, your child will learn to use grip breaks, wrist escapes, and key striking points to escape from danger, no matter how much bigger or stronger their attacker may be. 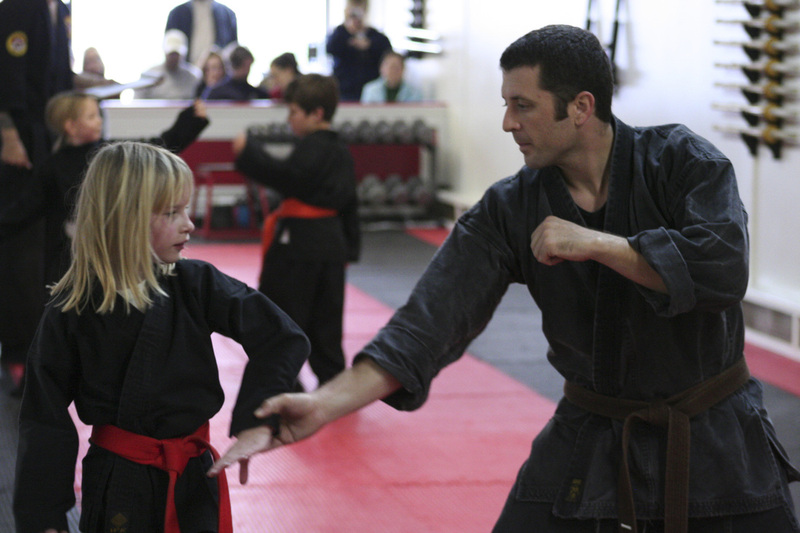 Kanjizai’s Little Ninjas program is designed to provide younger students with the foundational skills and character traits required for martial arts training. Essential muscle memories are conditioned through fun drills, games, and exercises, while a consistent emphasis on focus, discipline, and thoughtfulness provides life-skills that transcend the Academy. Training cooperatively with a partner, sitting at attention in line, bowing to classmates, and showing respect to teachers all build character traits that will make them successful in martial arts, or any other activities they may choose to take up in the future. 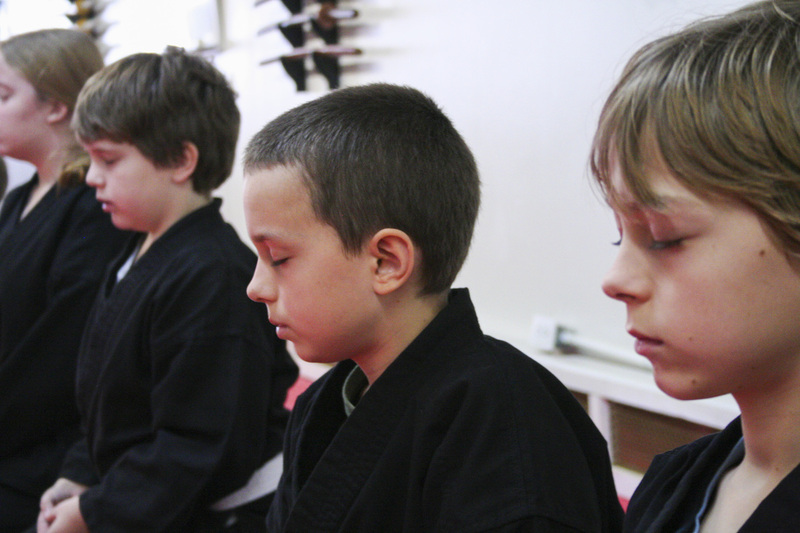 Kanjizai’s Youth Program gives older students more in-depth training in the arts of Ninjutsu and Jiu-Jitsu. 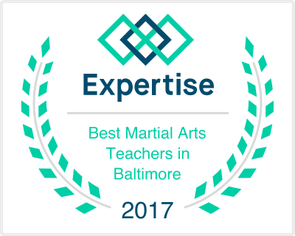 Each level of training teaches a balanced curriculum of striking, grappling, and self-defense techniques, giving students the tools to adapt to a variety of dangerous situations. Youth students learn, first and foremost, how to handle bullies with as minimal conflict as possible. ​When words fail, they'll know how to maintain distance and escape the area successfully. And when escape is not an option, they'll know how to control and negotiate with their attacker, avoiding strikes until left with no other choice. Kanjizai offers after-school care to students of Stoneleigh, Rodgers Forge, Roland Park, and Park School Elementary Schools. We provide after-school pickup, healthy snacks, help with homework, fun activities, and of course, after-school martial arts each day. Regular classes are included with After-School tuition, and kids can be picked up as late as 7:00pm. Kanjizai's After-School Program is open to students grades K-5. It's never too early to start planning for Summer! Kanjizai's Summer Camp includes hiking, swimming, indoor rock climbing, weapons training, outdoor Ninjutsu, Laser Tag, and more! Our reasonable, all-inclusive tuition gives your child the best bang for your Summer buck. With daily trips to exciting destinations like Hammerman Beach, Adventure Park, Annie's Playground, North Arundel Aquatic Center, and Monster Mini Golf, this is no ordinary martial arts camp. View our Summer Camp page below and plan your child's next Summer now! ​﻿SIGNUP NOW FOR 10 DAYS OF UNLIMITED FREE CLASSES!